The 1980s time travel film Back to the Future is set to become a musical on London’s West End stage in 2015. Robert Zemeckis, who co-wrote and directed the 1985 Michael J. Fox film, will reunite with co-writer Bob Gale to pen the book for the stage adaptation. Back to the Future saw Marty McFly (Michael J. Fox) travel back to 1955 at a crucial point in his parents’ high school relationship. According to Bob Gale, the musical will be “true to the spirit of the film without being a slavish remake”. The comedy adventure, which co-starred Christopher Lloyd, was a huge hit for Robert Zemeckis and spawned two sequels. Composer Alan Silvestri – who scored many of Robert Zemeckis’s films, including Romancing the Stone, Forrest Gump and Cast Away – will co-author the music and lyrics for the show with songwriter Glen Ballard. Glen Ballard, a six-time Grammy winner, co-wrote and produced Alanis Morissette’s Jagged Little Pill album and co-wrote the music for the stage adaptation of Ghost. Jamie Lloyd – who directed James McAvoy last year in a sell-out production of Macbeth at London’s Trafalgar Studios – will direct the production. The 33-year-old’s other credits include a Broadway production of Cyrano de Bergerac, The Duchess of Malfi at the Old Vic and She Stoops to Conquer at the National Theatre. 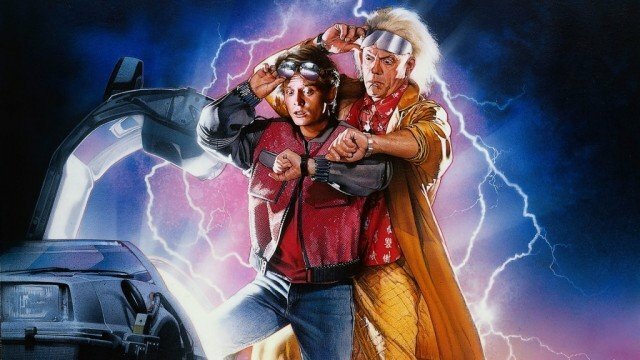 Back to the Future joins a number of hit films from the 1980s that have spawned stage musicals, among them Dirty Dancing, Dirty Rotten Scoundrels and Ghost.